An extensive set of Repetto porosity data was published by the California Department of Conservation (1991). 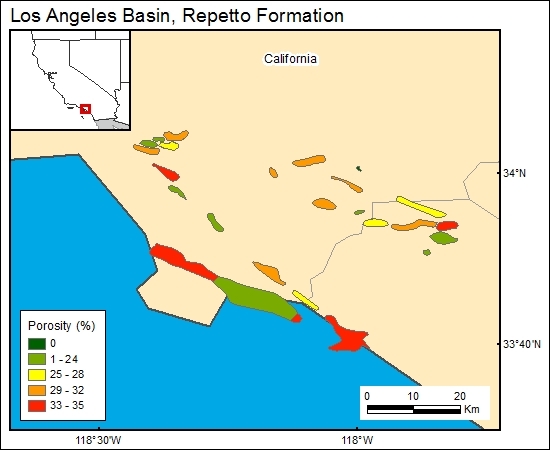 Porosity values, reported for hydrocarbon-producing zones (hence, better reservoir-quality sandstones), range from 22 percent in Olive field to 34 percent in Huntington Beach field. Porosity values in Seal Bach oil field, at 28 percent, are near the median value for this reservoir parameter.